The final installment, part 3 will hand out the championship belt from 1995 through the current day. Check out part 1 for the rules and part 2 is here. After a brief respite, Mariah is back. Half of her damage is done with Boyz II Men, on the mega-super-hit “One Sweet Day,” but she also has the sublime “Fantasy,” which is enough to regain a title that was almost hers for six consecutive years. 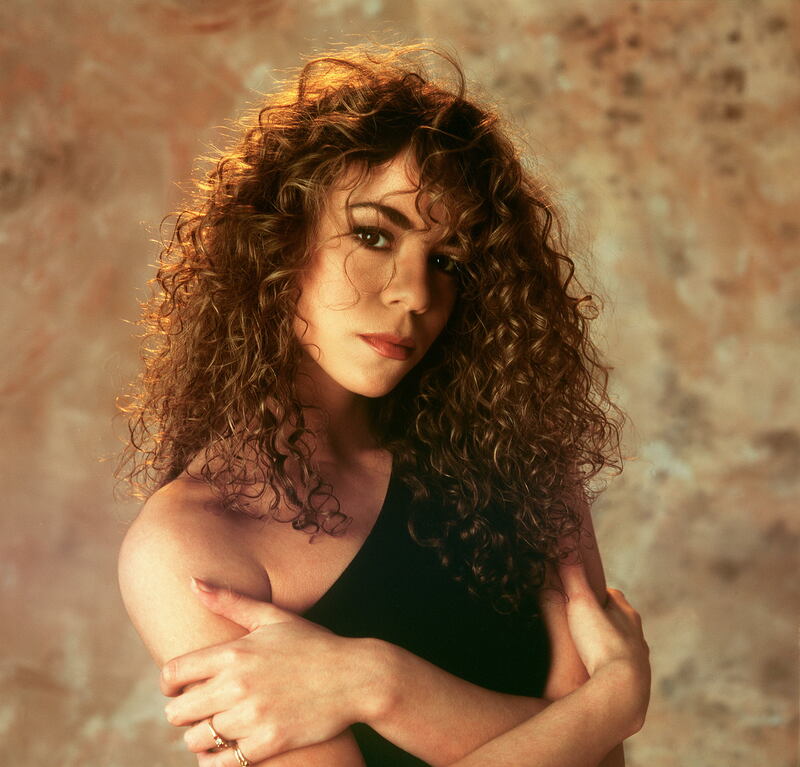 “One Sweet Day” held on well into ’96, and though Carey didn’t have a monster year she produced another number one, “Always Be My Baby” and her two biggest competing acts were just getting started. Contenders: Boyz II Men, who are already on the way down, still had the aforementioned “One Sweet Day” and “Water Runs Dry.” TLC, who had announced themselves a year earlier with the release of debut album CrazySexCool hit new heights with #1s “Creep” and “Waterfalls” and a couple of other hits. In 1996, Toni Braxton and Celine Dion had huge years; Braxton with her only two #1s and Dion with “Because You Loved Me” and “It’s All Coming Back to Me Now” but I didn’t think either were so overwhelming as push the default Carey off her perch. Carey was absolutely no slouch in 1997, hitting the apex with “Honey,” but this year someone grabbed the title from her and really ran with it. Puff Daddy destroyed with his debut album “No Way Out.” He had two solo chart toppers, featured on one of Notorious B.I.G.’s two, both of which he produced. That’s how you get to the top. Contenders: Carey, as always. The Spice Girls had their big moment in the sun here, with “Wannabe,” “2 Become 1,” and “Say You’ll Be There,” their three biggest American hits all peaking. They were a genuine sensation, and could have pulled it off in another year. Hanson had their brief moment this year as well, and created a sensation, but smaller and narrower than The Spice Girls. Notorious B.I.G. topped the chart twice, but it is difficult (though maybe not impossible) to hold the belt while deceased. This is hardly obvious and we’re at the point where I’m starting to let my personal experience into the equation. “My Heart Will Go On” somehow only actually topped the charts for two weeks, but combined with the sheer pop cultural force that was Titanic it was beyond omnipresent that entire year. Dion boosted her case with a duet #1 with R. Kelly to end the year. Contenders: The other biggest song of the year was “The Boy is Mine” by Brandy and Monica. Both had huge years, but I don’t think either had the heft to be the biggest pop star; some could disagree. Puff Daddy, Mariah Carey, and Janet Jackson all had notable years, and Usher, who we’ll hear from again, started his assault on the charts. A new era beckons in full. The new superstars, some for one minute, some for the next decade, emerge. The Latin explosion, boy bands, Christina and Britney. It’s an entirely new landscape. And yet, this year, I’m going farther off-book than I ever have before, leaning heavily on personal remembrances. The Backstreet Boys, in what anyone who was 10 or older during this time period will find beyond stunning, never hit the top of the charts, and only hit #2 once with “Quit Playing Games with My Heart.” This year, their best remembered song “I Want It That Way” somehow only moved up to #6. Their third album though was the album of the year, Millenium, selling a million copies in the first week. Contenders: There are many contenders. TLC came back in a huge way with Fanmail. Britney and Christina debuted, both as instant superstars, and either would be a worthy choice. Monica and Brandy, although they were already losing steam, were still huge before all the new artists took over halfway through the year. Destiny’s Child and Jennifer Lopez debuted, and Ricky Martin had a moment where he was the face of the Latin explosion. We were still, but not for much longer, in the land of the boy bands, although the focus had shifted from The Backstreet Boys, who had already spun out their biggest singles, to *NSYNC, who still had them in the bank. No Strings Attached was their Millenium and “Bye Bye Bye,” “It’s Gonna Be Me,” and “This I Promise You” were all big chart entries off the album. Contenders: Destiny’s Child had a huge year with “Say My Name,” “Jumpin’ Jumpin’” and “Independent Woman Part I.” Christina Aguilera had another big year. Contenders: Lopez, and then Usher, who hit #1 twice. We’ll hear from him again. It’s crazy that I haven’t mentioned Eminem yet, and I haven’t found an artist yet during the years since I personally began experiencing pop music whose obvious if-you-were-there and album popularity matched up with the charts as little as Eminem. He only had one Billboard Hot 100 top 10 hit to this point despite churning out songs that everyone listening to Top 40 radio knew all the words to – “My Name Is,” “The Real Slim Shady,” “Stan.” In 2002, the walls came crumbling down. In the very same year Mr. Mathers released The Eminem Show and starred in 8 Mile, which would give him his first charter-topper and signature song, “Lose Yourself.” “Without Me,” his perhaps funniest song, and “Cleaning Out My Closet” completed the monster year. 2003 is the story of three artists, all of which have a nearly equal claim to the throne, and who, between themselves, recorded the three most memorable songs of the year. 50 Cent debuted in force, rolling out his signature song “In Da Club”, which remains an anthem today. He hit #1 with the more melancholy “21 Questions,” and #3 with “P.I.M.P.” Beyoncé debuted as a solo artist and owned the summer with the still-beloved “Crazy In Love” – she also topped the charts with the excellent “Baby Boy,” introducing the world to Sean Paul. Outkast, who had been around for years at this point, released what would be hailed as the album of the year, Speakerboxx/The Love Below, and the third song of the year, Andre 3000’s “Hey Ya.” Big Boi’s “The Way You Move” also climbed the charts, though it wouldn’t actually reach the summit until 2004. Contenders: Beyoncé, Outkast. If I came back at this again, I’d probably keep switching back and forth between the three. Contenders: There really weren’t any. Alicia Keys, Beyoncé, and Nelly had nice little years, but this was a Barry Bonds-2001-style season. Usher was a man apart. Unlike 2004, this is one of those years I’m really torn on, and, despite remembering this year fairly well, I’m concerned I’m rewriting history with my choice. Mariah Carey unquestionably had the bigger chart year. She had the single biggest song of the year, “We Belong Together,” and largely forgotten additional follow-ups #1, “Don’t Forget About Us” and #2 “Shake It Off.” Hers was a massive comeback album after the flop of Glitter, and she shone bright. Kanye, on the other hand only really had one certified hit, but it was the second biggest song of the year, and the song of the summer, “Gold Digger.” Kanye produced a couple more minor hits, but he brought what he would always bring, a sense of aura that has always made him a bigger pop star than pop stars whose chart records are equal or better. Contenders: Mariah Carey, as mentioned before. 50 Cent also had a strong year, but he suffered what would befall many an artist; although his numbers were strong, there was a biting feeling he was already on the way down from his early triumphs. Here’s where the calendar year problem gets tricky. Justin Timberlake didn’t appear on the scene with singles until halfway through. Still, however, his FutureSex/LoveSounds was the pop album of the year, and “SexyBack” the song. “My Love” also hit the heights. Now, here is an interesting year. In another case of forced strange calendar timing, 2008 pits the beginning of the year versus the end. One day, I’ll spend another 5000 words breaking this out by month, but until then there are these hard choices to make. There are three chief contenders. Lil Wayne was at his peak, releasing the monster critical and commercial success Tha Carter III. It sold a million copies and produced four hits, three top 10, and “Lollipop,” which is his sole solo #1. Rihanna continued her success with two chart-toppers, “Take a Bow” and “Disturbia.” Beyoncé’s “I Am…Sasha Fierce” began its two-year run of hits during the second half of the year, with “If I Were a Boy” and the monster “Single Ladies (Put a Ring On It),” whose video made it a sensation. Contenders: Beyoncé, Riahnna. Katy Perry owned the summer with “I Kissed a Girl” but she was too new to be the queen. T.I. had back-to-back smash #1s, but not enough of a presence for anyone to rank him above his contemporary Lil Wayne. Another very difficult year, and another three act race. Beyoncé came into the year with “Single Ladies (Put a Ring on It)” and followed up with huge hits “Halo” and “Sweet Dreams.” This was Lady Gaga’s big year, and the fact that I didn’t pick her makes me slightly queasy, as I’ve been going back and forth, between her and The Black Eyed Peas, changing my mind every couple of minutes. She had five top five hits; “Just Dance,” “Love Game,” “Poker Face,” “Paparazzi,” and “Bad Romance;” smash after smash. The Black Eyes Peas didn’t have nearly as many hits. What they did have though, were the two biggest songs of the year; they were back-to-back #1s and their combined reigns lasted an insane 26 weeks. You could not go into a store or restaurant in 2009 without hearing “Boom Boom Pow,” “I Gotta Feeling,” or more likely both. Another close year, with two contenders, but I feel more confident about the final answer from my memory and experience. Rihanna actually had more hits and more #1s – three of her own, and featured on Eminem’s “Love the Way You Lie.” Rihanna came in as well as the bigger pop star, which should have given her an edge. Katy Perry just absolutely owned this year though. Coming into the year, no one knew whether she had another hit in her; 2008 was a long two years ago. But it didn’t take long from the video debut of “California Gurls” for everything to change, and three number ones later, she really was the biggest pop star; it already felt like every song she released from then on would it hit #1, and not a ton has changed since. Contenders: Rihanna. This was Ke$ha’s big year, but while “Tik Tok” was still the better song, and she had a lot of hits, Perry overshadowed her as the more prominent Dr. Luke protégé. Eminem had an enormous comeback. She arguably should have held the title three years in a row, and this year was another story of two halves, thanks to Swift’s penchant for not releasing albums until October. Again, once Swift’s new music emerged, she dominated, even moreso than her previous title year; “Shake It Off” hit #1 quickly, “Black Space” did later, and for longer, and her album outsold the next two biggest debuts combined. Contenders: Beyoncé culturally owned the early part of the year; she was the closest to Swift, with the reverberations of her surprise album lasting well into mid-year, and hits like “Drunk in Love,” and “XO.” Iggy Azelea and Ariana Grande had huge years but as relative rookies didn’t have the clout of the instant appeal to qualify for the belt. And there we are. Halfway through the year, Swift is the easy favorite to continue her reign, but we’ll wait before rendering final judgment.